If you have already surrendered to the charms of the coffee-machine Nespresso -in what is probably George Clooney has something of the blame-both for the convenience as for the quality of the coffee, this information will be of interest. We teach then how to recycle capsules Nespresso and reuse them to save some money, which never hurts, but mostly because with this behavior, you contribute to the care of the environment. 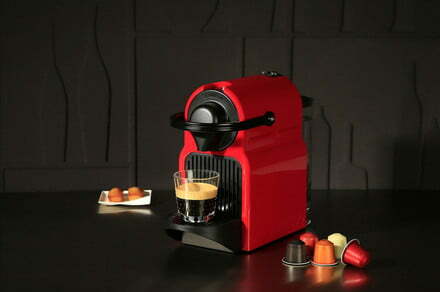 Because making coffee with a machine Nespresso is all very well, but its use generates some inconvenience, for example, the capsules may accumulate and create a large amount of waste. Fortunately, you can recycle or even reuse your capsules for Nespresso. The company, with headquarters in Switzerland, even has its own program that makes it easy for customers to recycle their used products. When Nespresso receives the capsules to be recycled, separating the aluminum from the coffee grounds. Coffee grounds are used to create compost or topsoil, while the aluminum serves for the manufacture of new products. Recycle your capsules Nespresso requires a small effort on your part, but it is not something too complicated. It is not necessary to empty the coffee beans or rinse them. You simply have to enter the recycling of the capsules in your routine. In the web site of Nespresso, you can ask for a bag of recycling free of charge, and you send it directly to your home. Nespresso will also include a bag of recycling free of charge on orders placed through their store online. Each bag can hold up to 200 capsules of the original line or 100 of the Vertuo. Once you’ve filled your bag of recycling, you can leave it in your Nespresso store closest to you, in a waste center or collection point or in a partner store. The company says that 90 percent of customers have an alternative recycling location near your residence, as Nespresso has over 122 000 collection points in all over the world. You can consult the web site of Nespresso to find a local pickup point. Also you can deliver the bag to the courier when you deliver your next order of Nespresso, or take it to the UPS store nearest you. If you want to save some money, also you can reuse your capsules for Nespresso. Some users say that they use it twice. The second cup can have a taste slightly weaker and a bit more watery than the first, but it involves a saving to the pocket and reduces the waste. Other users clean, fill and re-seal. If you keep your capsules Nespresso used, you can clean them and reuse them. Once you clean the capsule, fill with your favorite brand of espresso grounds. Leave about a millimeter of space at the top and clean gently around the edge to make sure there’s no coffee around the rim. Cut a piece of aluminum foil into a circle that is approximately an inch larger than the diameter of the capsule. Help cut first a piece of paper to then use as a template and cut it with circles of aluminum foil. Once you have a good circle of aluminum foil, place the tin on top of the filled capsule and the wrap covering the edge firmly. Use your fingers to secure it around the edge to create a tight seal. When you close the capsule filled it should look like a new one. Once you have sealed the cap with aluminum foil, you’re ready to prepare you a cup!